Hard water can wreak havoc on your appliances, plumbing, skin, hair, and dishes. 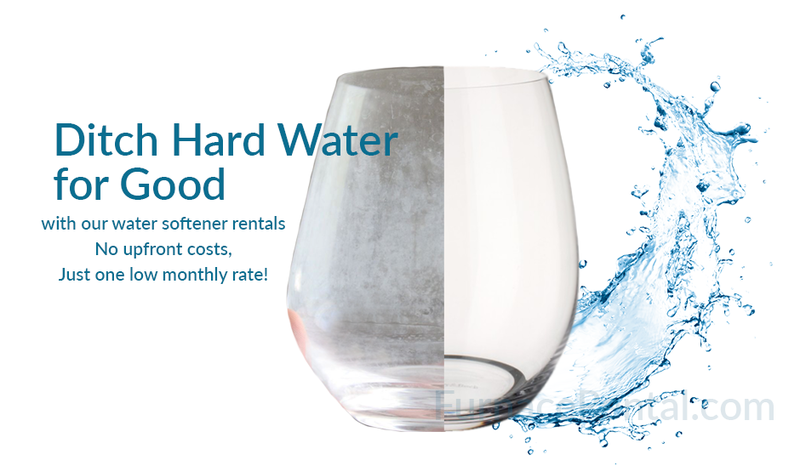 With our simple and affordable water softener rental program, Canadians can get rid of hard water for good. It’s never been cheaper or easier to banish hard water from your home! Our rent to own water softeners provide a simple and easy solution, allowing Canadian homeowners to benefit from softer water in a convenient and affordable manner. For full details about our rental program, including other products available, see here. Hard water is a result of dissolved minerals, particularly magnesium and calcium in the groundwater, and that’s why the presence varies by region. Hardness is calculated by grains per gallon. Who is Most Affected By Hard Water? Some common hard-water areas in Canada include many towns and cities across Ontario, including Barrie, Brampton, Brantford, Cayuga, Guelph, Kitchener-Waterloo, and London; many parts of Alberta, including Calgary; parts of Manitoba; and much of Saskatchewan, including Regina and Saskatoon. See here for a full list of water hardness by region. How is Hard Water Bad? Although generally not harmful to your health, hard water can cause a number of annoying problems. The issues caused by hard water can be minor such as stains on dishes, or more severe such as significantly shortening the operating lifespan of appliances. This affects just about any household appliance that uses water. Shorter lifespan for hot water heaters and other appliances. 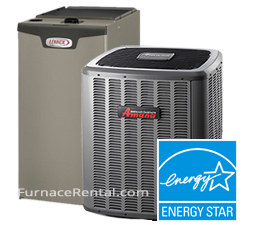 Increased utility bills as a result of decreasing water heater efficiency from scale deposits. Hard water deposits can slowly clog up pipes and reduce flow. Noticeable film and scale deposits can form on tiles, and plumbing fixtures. White film on dishes and cutlery. Hard water can also necessitate the use of more detergent when washing dishes or laundry. Clothes not lasting as long, or worsened appearance over time. Finally, hard water can also have a direct affect on you, leading to drier skin and dull-looking hair. A noticeable taste when drinking water, or beverages made with water like tea and coffee. How Can a Water Softener Rental Help? 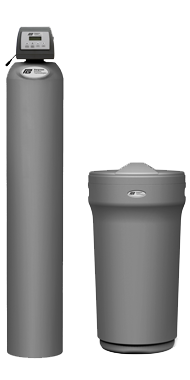 A water softener is a filtration system that removes the dissolved minerals that are most commonly present in water systems, such as calcium and magnesium. Once it is treated through the water softening system, the only ion present is sodium. This ‘softening’ process provides superior water clarity and less abrasive water. In short, soft water is water with low counts of calcium or magnesium, though there are often trace elements of other dissolved minerals. A rating of 1 grain per gallon or less is considered soft, which comes to about 17 milligrams per litre of calcium and/or magnesium. Most water softeners bring the rating to 10 milligrams or below depending on the quality. Anything above 1 gpg is considered at least somewhat hard. Furthermore, a 3.5 rating is considered the median. A 10 gpg rating is extremely hard and potentially damaging to pipes and appliances over time. With our water softener rentals, a new whole home water softening system can be installed to cleanse the water of those abrasive minerals and make your water better and more pleasant. Soft water has a number of benefits that many individuals take for granted. That is because they do not know that these benefits can be traced almost directly to the softness of the water. Easier Cleaning: Less detergent needed. Longer-lasting appliances. No deposits and water scum on your clothes, dishes, and everything else. Healthier Skin: Enjoy softer, healthier-feeling skin. Hard water can leave residue and lead to your skin feeling dry and unclean. Not any more! Longer-Lasting Clothes & Appliances: No more worrying about hard water damaging your clothes and expensive appliances like your hot water heater. Increased Water Flow & No Clogged Pipes: mineral deposits slowly clogging up and damaging your plumbing. No More Ugly Stains on Everything: Dishes, tiles, clothes, fixtures… they will never have looked cleaner! These water softener benefits only scratch the surface of what a family can expect using this kind of welcoming water. It simply feels better, and this plays out in great detail in every area of the home. On the surface, calcium and magnesium are not traditionally harmful to the body. In small quantities, it is perfectly acceptable. The problem is when city records indicate high ratings. Families should seriously consider the assortment of benefits to soft water, both small and large. Thankfully, renting a water softening system has never been easier. To get started simply give us a call or use our information & quote-request form.